Things are good, thanks! We’ve been busy with the release of the new album ‘V •••–‘ and touring all over the place – really looking forward to getting back to Australia, it’s been far too long! You’ve been called Rockabilly, Psychobilly, Punk and just plain out rock. 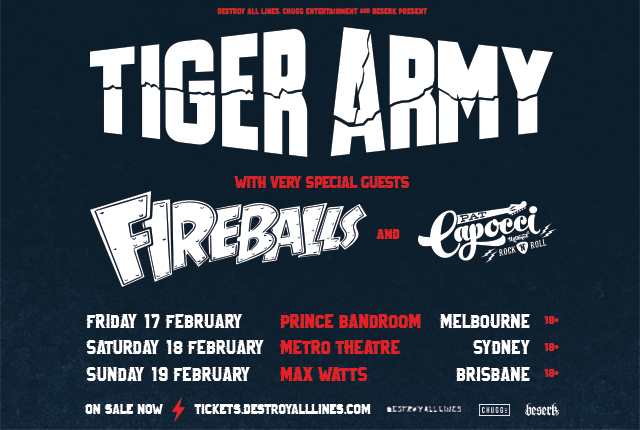 Where do you see Tiger Army? At this point I’d basically consider it rock’n’roll. All those genres are branches of the same tree anyway, in my eyes. The new record drew on early 60s American & British rock’n’roll & 1970s first-wave punk from New York City. Those are some of the roots of psychobilly, and of course it moves forward musically in certain ways. 20 years since the band started a period where Tiger Army went on hiatus and now are rolling stronger than ever. Longevity is something you must look fondly upon? I am proud the band has existed as long as it has, while most importantly always playing the music I wanted to play! It’s always been about the long run for Tiger Army, and as the trends have come and gone, we’re still here. Having a fifth album feels like a milestone in particular. Looking back at some of the forefathers of the 50’s were Cash, Presley, Hayley, Perkins and Buddy Holly a big influence on your musical career? This was THE Glory period and Rockabilly spawned in this era. I think this stuff was an influence on anyone who’s made good music! It was huge for people like The Beatles and Dylan, yet sadly it’s not given the respect it deserves at times. Buddy Holly is one of the biggest for me. His songwriting and later his production was so ahead of everyone else. The genre evolved and resurged in the late 70s and early 80s and where the Stray Cats led the way in the US and the UK saw it bands like The Meteors and The Cramps hit the scene. We even saw Queen delve into the genre. What is it about this sound that keeps it going and developing? People always go back the roots, and in a lot of ways the 50s artists you mentioned before were the start of everything. I’ve never been a believer in trying to reproduce something that’s already happened, better to take that energy and influence and pour it into something new, as the best bands have always done! Then we can even delve into acts like The Ramones, Misfits, Rancid, Revered Horton Heat and co… it’s an interesting spin off isn’t it? I was always fascinated by the connections between early punk and early rock’n’roll. That’s where 1970s NYC punk came in- New York Dolls, Ramones, Suicide, Misfits “Static Age” from ’78, you could hear that the original rock’n’roll of the 50s and 60s was in the DNA of these bands. Those connections were a big part of the new album when it came to inspiration. Your latest album V •••– saw the band make a triumphant return after 9 years, the fans patiently waited and they approved. How was the feeling leading up to the release of the record? It’s always interesting to see what people’s reactions will be once a finished album finally comes out, I was happy with the response. Because our records are usually a step forward, for some people there’s a lag between what they think it’s going to sound like and what it is. People usually listen to the albums for a long time and find new layers though, which is cool! The production on this album is smooth as silk… it is so easy to listen to, but retains a timeless familiarity. Is this something that came naturally in the studio? I can’t take all the credit for that, producer Ted Hutt had a big hand in the approach of course. We were on the same page with a lot of the things we were looking for in terms of sounds, gear and arrangements before we started, but I think his methods preserved a certain excitement of what went down with the takes, and there’s always a bit of experimentation of course. 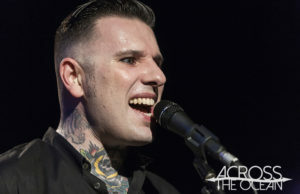 Tiger Army is known at times, for its darker themes and imagery. Is that something that comes from personal experience or external influences? I think I’ve been drawn to that sort of thing since childhood, it’s something innate. At the time I was writing this songs, I felt detached from the traditional gothic sort of darkness that I’d drawn from in the past. The darkness of early 60s pop culture, with songs about emotional desperation and loneliness, or even teenage death, along with worries about the end of the world via atomic attack presented a darkness that felt real and relatable to where I was at, so I drew from that. What made you want to switch gears with the Nick 13 solo album? At the end of ’08 we finished a two-year tour cycle for ‘Regions’ and I’d been on the road about 8 years, with “time off” only for writing and recording. It was time to recharge my musical batteries and try something new. How long had you been considering a solo record? Was the country writing in the blood? It was rattling around in my head for years… fans may have first suggested it, like “Would you ever do a whole album of songs like ‘Outlaw Heart’ and ‘In the Orchard’?” I’d listen to vintage hillbilly music for years but I started delving even deeper in ’08 and that lit the fire that when I finished touring the last TA record, it was time. The pedal steel guitar adds to the overall ambience and it is an essential part of every country album there is nothing like it is there? It’s certainly a magic instrument in the right hands! Will you continue the country journey? Did spending time Nashville fuel that fire? I will at some point. Taking time away and learning some new things musically only deepened my appreciation for Tiger Army. I’m loving touring and writing some new material for TA here and there, but I will at some point undoubtedly do a second solo album. Nashville was very inspirational in terms of history and getting to see and even play with some of the old timers, but frustrating to see how their music and how real country music in general is ghettoized in favor of what’s currently commercial. 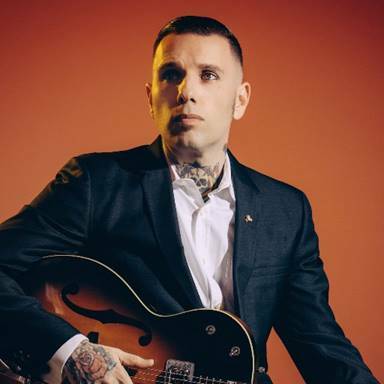 Tiger Army’s live show is revered and delivered with honesty and energy not often seen in bands using an upright bass, how do you balance musicianship and showmanship? It’s a skill to sing or to play guitar but it’s almost a separate one to do both at once & it’s something that comes over time. With about a hundred shows under our belt in the last year I think our live show is as good as it’s ever been! I think our pocket has developed since the last time we were in Oz, and seeing footage of 50s rock’n’roll pioneers has inspired some moments that are even wilder onstage. 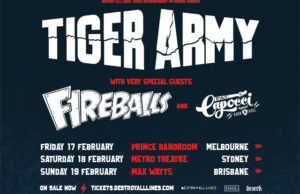 What can we expect set list wise in Australia? Our set is always a balance of material – of course we’ll be playing songs from the new album, but we also play songs from all the records. We really look forward to seeing you here again, safe travels and get ready to tackle the heat! Can’t wait – see you soon Oz!